United Refrigeration Opens New Store in Beaumont TX. 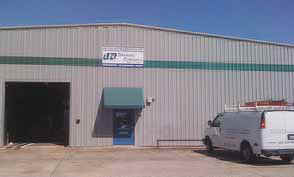 United Refrigeration recently opened a new branch in Beaumont Texas. Craig Rockefeller is the Branch Manager for this store, which is located at 1420 Gulf Street. Craig has been with URI for four years and has been in the industry for fifteen years. Adam Greenlee works the branch with Craig. He’s been with United for six years. Donnie Logsdon is the Regional Manager with 43 branches including Texas, Oklahoma, Kansas, Missouri, Arkansas, Alabama, and Louisiana. United Refrigeration Inc. is one of the largest distributors of refrigeration, air conditioning and heating parts and equipment worldwide. Founded in 1947 in Philadelphia, United Refrigeration now has locations in the United States, Canada, United Kingdom and France. United Refrigeration carries all brand name products by top manufacturers such as Arcoaire, Bally Refrigerated Boxes, Continental Refrigerator, Copeland, Drake Refrigeration, Henry Valve, Honeywell, Johnson Controls, Keeprite Refrigeration, National Comfort Products, National Refrigerants, National Refrigeration Products, Sporlan Valve, Standard Refrigeration, Tecumseh, Trenton Refrigeration, Trol-A-Temp and many others. The Company boasts a wide range of advantages for their customers: over 300 locations worldwide; locations in 44 states, the US Virgin Islands, Canada, the United Kingdom and France; a complete base of HVAC/R product offering: large and small, common or obscure, strategically placed distribution warehouses throughout the country for consistent deliveries and inventory replenishment; fully stocked stores for immediate pick up and prompt, comprehensive and technical service by knowledgeable personnel at all locations. The Beaumont branch phone number is 409-212-1600. Visit the United Refrigeration web site at www.uri.com.